Mt. 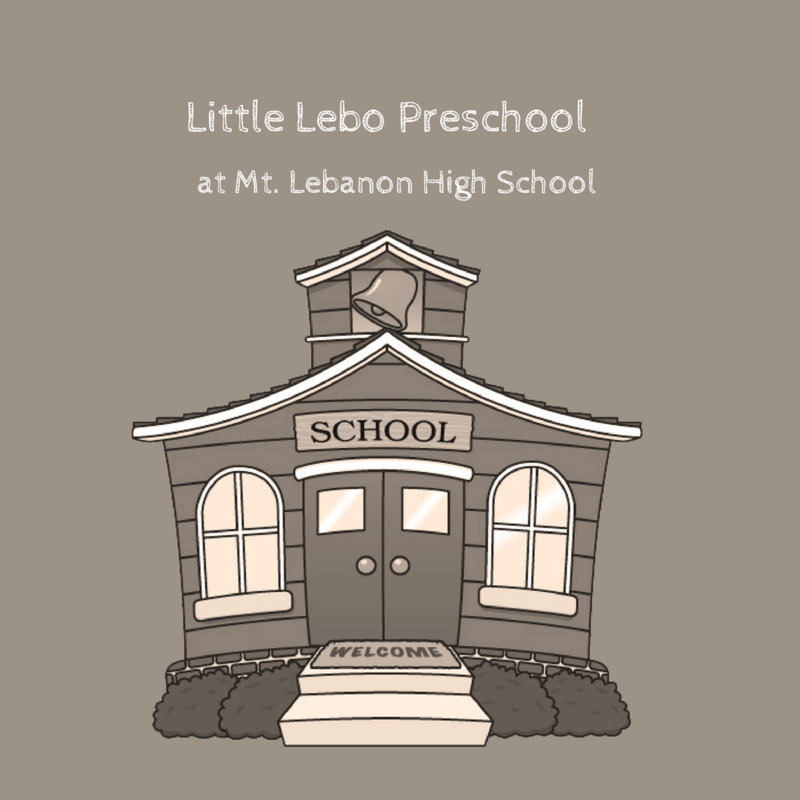 Lebanon High School's Little Lebo Preschool Program is accepting registrations for the Spring Program which runs from March 11 through May 24, 2019. Our program offers unique learning experiences through our in-house "field trips" to places such as the wildlife biology room, dance studio, percussion room, and choir room. Children may enroll if they are at least three years old by January 1 and should not be older than four years ten months by March 1. The program meets Monday through Thursday from 9:10 – 10:40 am. The deadline for application is February 25, 2019. The total cost is $65. For more information, please contact the secretary, Susan Kordistos, at 412-344-2023.